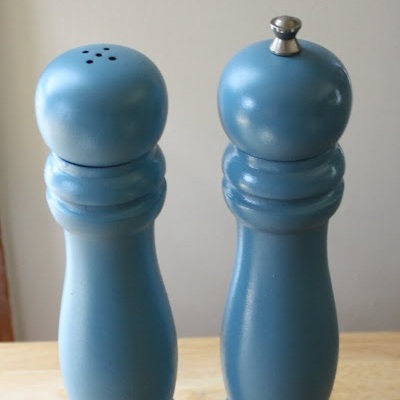 I always like to see big, boldly colored salt & pepper shakers. Here are some easy instructions to transform yours! Hit those garage sales!